I am an experienced online essay writer with a thorough understanding of any curriculum. I have been a writer for close to 10 years and have amassed a wealth of information. I am ready to tackle your assignments and help you get the best essays. I am well versed in the different formatting styles mainly APA, MLA, Harvard, and Chicago. I will provide a paper devoid of plagiarism, grammatical errors, syntax errors, and punctuation errors. By choosing me to write your essay, I will provide you with an academically perfect product. I have enormous experience in handling papers in different fields. Some of these fields include Biology Sciences, Chemistry, Health Sciences, Psychology, Health Care, Sociology, English Literature, Business Studies, and Physiology. In the above subjects, I can write dissertations, term papers, custom essays, book reviews, research papers, college essays, movie reviews and any other paper writing services. I also do editing, rewrites, and revision. With me, you will get an essay writer who will be dedicated to your work. During the time I write your essay and provide adequate help, I will update you regularly on my progress, and constant communication between you and me. I only work on one essay at a time; therefore, you can rest assured that I will dedicate all my time to your order and finish it hours before the deadline to ensure that you have plenty time to go through it and return it if any revision arises. I am accessible 24 hours a day for seven days a week. My rates are college-friendly. When you buy an essay from me, you will not only find a writer but a friend to guide you in your education. It is my goal to get the best out of students and ensure that they pass their exams with distinction. My track record speaks for itself, with a 100% completion rate. I am highly trained, and I have gathered experience over the years to know how to compose essays from scratch. My pieces will leave an impression on your professors as they will be professional, accurate, incisive, and correct. By choosing me, you will have made the right choice. 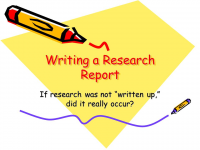 Research Writing has not received any reviews.